An awesome and emotional atmosphere allowed this year’s SV Luftfahrt Masters to be a big event. The participations of many nations and strong fighters, could increase the level of competition again and many starters, despite the parallel Veterans Championships in Abhu Dabi, enjoyed this. For this year’s Luftfahrt Masters 167 fighters were reported with 203 starts from 59 Judo Clubs. It has been fought by the IJF rules from 2012. The participants came from Slovakia, France, Belgium, Denmark, the UK, Austria, Poland and Germany. The most teams came from 10 German state associations. With most starters (20), as in recent years, SV Gallneukirchen (AUT) travelled to Berlin. Followed by the Polish Clubs JV Gwardia Koszalin (POL) with 12 and UKS Kodokan Szczecin (POL) with 11 reported launches. Overall, the Polish participants were most strongly represented and the most successful. In the age class of men over 30 and over 40, 33 fighters were recorded. Most occupied was the open age class of men with 60 starters. Round about 15 female fighters per age class were reported. The most prominent guest was Jens-Peter Bischof from BC Randori e.V. this year. The called “Long” was launched in three age groups. The World Champion and European Vice-Champion of 2009 fought twice against Jörg Frischmann from JV Königs Wusterhausen/Zernsdorf e.V. in the final of the open age class and over 30. Even in the over 100kg and over 40 class he emerged as the winner in the final. Overall, he was 10 times (!) on the tatami and was rewarded 3 times with gold. 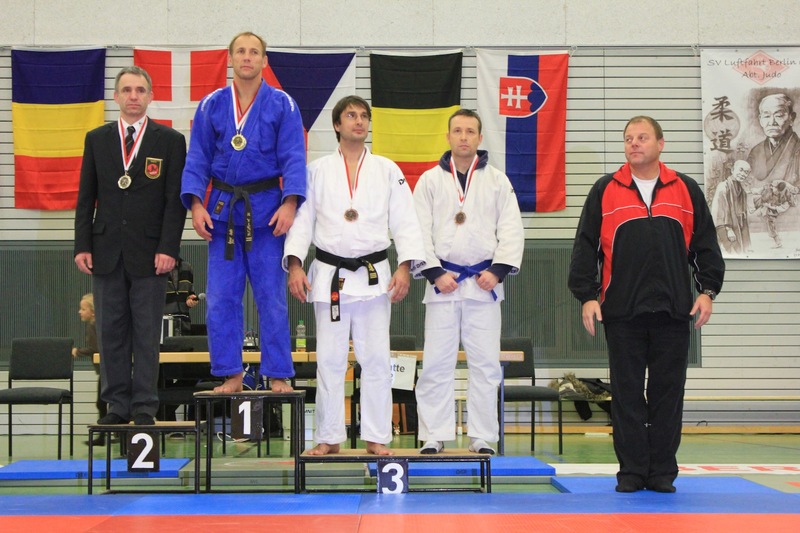 A total of nine were fighters from SV Gallneukirchen on the first place, followed closely by BC Randori e.V. with 6 gold medals. In team score SV Gallneukirchen (AUT) has won the first place in the open age class of men as last year. Even among women of the Gallia have won and stood on place 1 in the open age class and under 18. 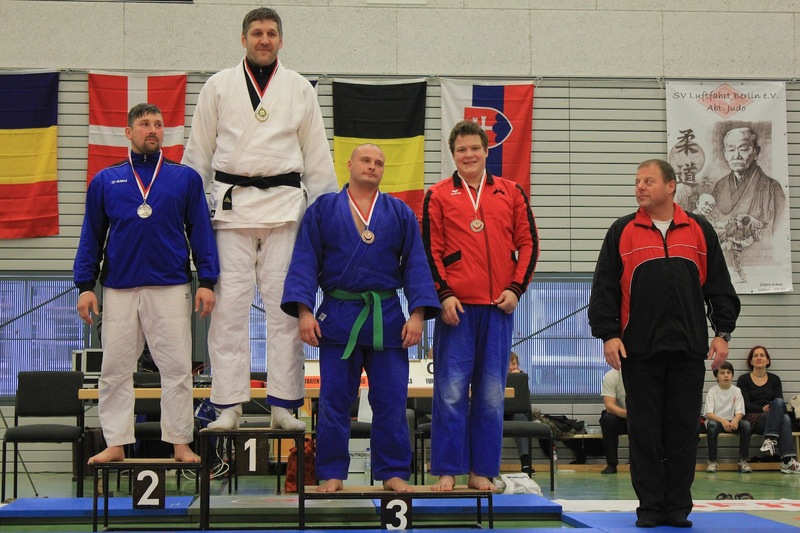 UKS Kodokan Szczecin (POL) landed in open age class and over 30 of men on the 3rd place. 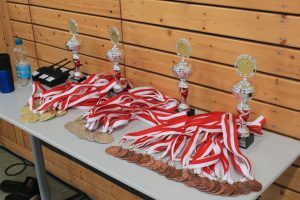 For the first time and also successfully AZS UAM Poznan Judo (POL) have took part. They won the first place in the age class over 30 of men. For the boys U18, JV Gwardia Koszalin (POL) has won the team trophy. Even in the open age class of men they could gain silver for themselves. Overall, the tournament was very impressive, both from the participants as well as the mood. We are looking forward to next year and hope to return to lot of international participations. … for all assistants, referees, aidman, table occupation and list leaders who have brillant supported us. Not to forget the stadium speaker Robert, who has taken care of with the latest music in his playlist for a good entertainment. Thanks also to all parents who have helped us on Friday evening in the preparations and buildup the tatami. Thanks also to the Moser family, which has enabled us to transport equipment and mats.